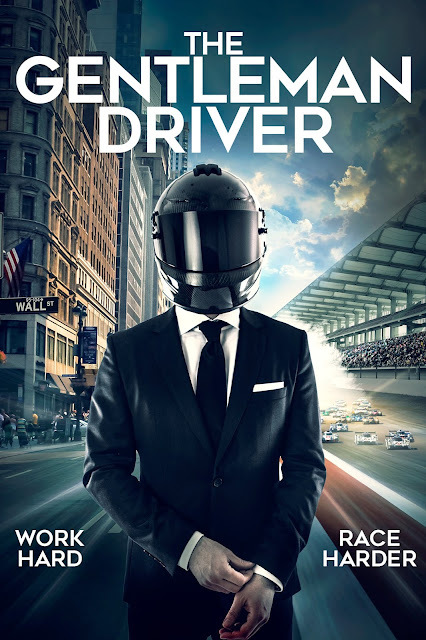 Join these high-level businessmen as they strap themselves in behind the wheels of the world’s most technologically-advanced race cars to participate in the exhilarating and often dangerous world of international sports car racing. Watch as they steer a perilous course riddled with obstacles, including facing down negative stereotypes about what it means to be a “Gentleman Driver.” Yet, through dedication, passion, and skill, success always seems to magically follow these men. To help demystify this phenomenon, THE GENTLEMAN DRIVER features expert interviews on the subjects of success, flow, and sports psychology. It also offers viewers rare access to behind-the-scenes racing environs like the pit garages, personal conversations with the drivers and crew, and tours with the “Gentlemen Driver” CEOs at their places of work. The documentary also incorporates gripping race-track broadcasts and in-car action-cam footage. With its privileged insights into the worlds of high-level motorsports and high-level business, THE GENTLEMAN DRIVER is sure to both entertain and inspire higher levels of achievement as it reveals time-tested principles and practices for being successful on and off the track. THE GENTLEMAN DRIVER gives an inside look into the lives of four extraordinary businessmen who moonlight as race car drivers and the highest levels of sports-car racing. The film follows these men through both their business and racing lives, learning about what makes them unique, how they got to where they are, and how they deal with their "two lives". The men featured in this film are at the top in both the business and racing worlds. They are true outliers. The film’s Executive Producer is Toni Calderon, the producers are Bijou Finney and Beaux Jackson, and Charlotte Fantelli is associate producer. It was directed by Mario Mattei and written by Mario Mattei and Justin Barclay. Speed Group consists of a group of highly successful, experienced and innovative motorsports professionals who have joined forces to offer a one-stop-shop solution for its clients. Whether you are a driver, a team, or a sponsor, at Speed Group Speed Group will create a customized program that maximizes your results both on and off the track. The company’s three founders include IndyCar star James Hinchcliffe, who can offer its clients the perfect example of how to successfully move up and win both on and off the track in the complicated world of motorsports. David Martinez, who holds the record for the most successful ever debut by a Mexican driver in IndyCar. Completing the ownership group is Toni Calderon who as a driver manager has helped his clients develop successful programs and achieve various victories and championships, including winning the 24 Hours of Le Mans and the FIA World Endurance Championship. The Velvet Cartel is a content creation machine that believes in the power of a strong message and impressive content. With full service capabilities, video, photography and events they are able to put together the perfect package to successfully engage and excite a brands audience.